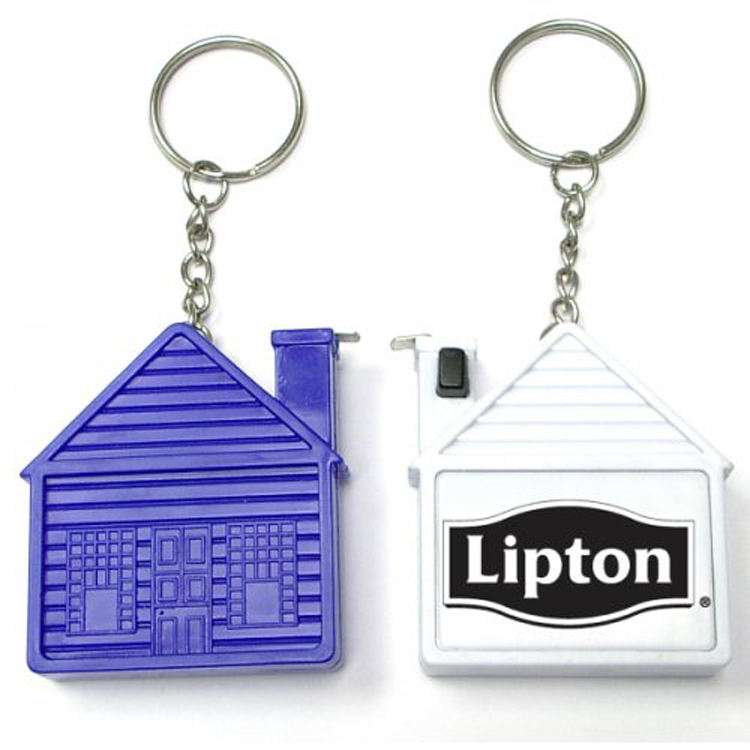 Handy Tape measurer tool with a key holder in the shape of a house! Your brand name will take center stage on this item and your target audience will see your logo every time they use their keys! Product Colors: White, Blue, Red, Black. Package: 1 pcs/poly bag, 1000 pcs/ctn, 44 lbs/ctn.